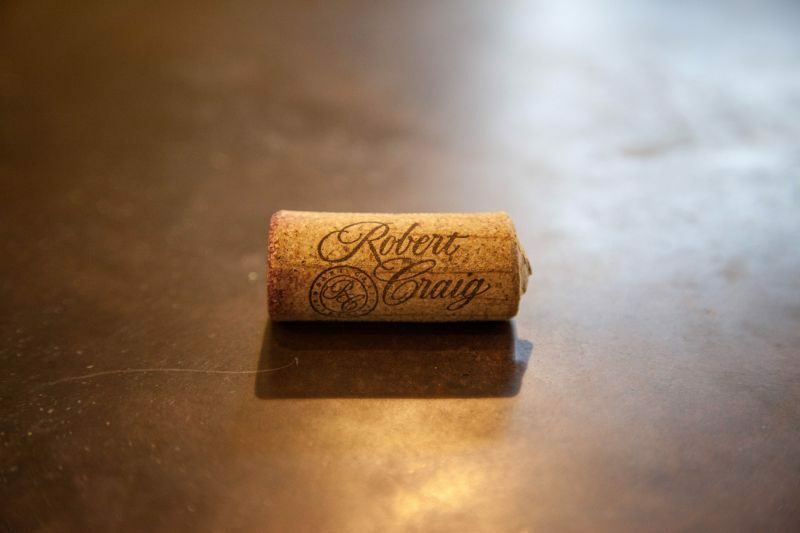 I was invited to visit the Robert Craig tasting salon (Bar Craig) in Napa by my new friend and fellow wine blogger extraordinaire, Dave Razzari. He is a regular visitor and was kind enough to introduce me to his connections there. I am so glad he did because it is a bit of a hidden gem and I am not sure I would have come across them (or at least not as quickly) without Dave. I have to apologize for my late posting of this article. I actually visited this winery at the end of February right before I left for Europe and didn’t have the time to write up my notes until now. The Brit comments: California Girl visited whilst I was at work, so I could not join her for this tasting. However, she did bring me back a bottle of their wine, so I am not too bitter. 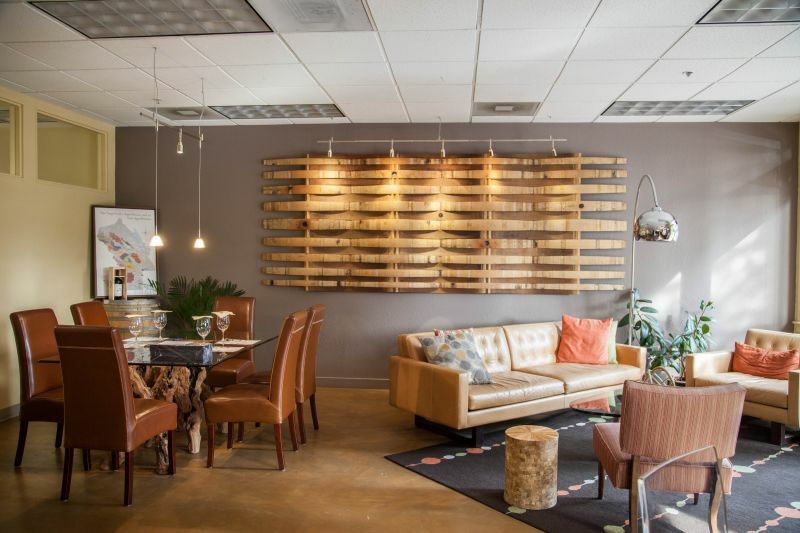 The tasting room is tucked behind a builders’ supply and in a bunch of industrial buildings. Still, once you find it, it’s a little jewel. To me, it felt personal and intimate. The interior is simple, but there is something very comfortable and unpretentious about the place that is very appealing. Maybe it was the owner, Elton Stone, who did the pouring for us that day. After five minutes I felt like we were old friends. He’s a lively, fun guy and I could feel his passion for the wine. Of course, I loved both of those things about him. It made the tasting that much more enjoyable. The wines were an absolute delight. I could see why Dave is such a fan. 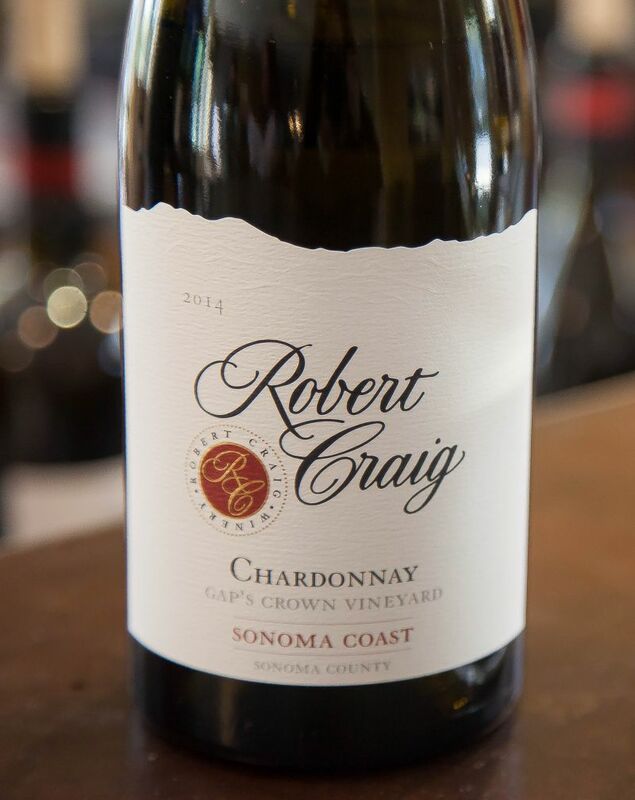 We started out with the 2014 Chardonnay ($50) from Gap’s Crown Vineyard. It was nicely balanced, and not at all oaky or buttery. Instead, it had a crisp, light. citrus flavor that was very pleasing. I could taste a hint of apricot and honey in the wine. To me, it was very elegant and European in style. I could imagine enjoying this wine with a gourmet salad of chicken, goats cheese, and fruit. All of the notes would blend perfectly together. Mmm! 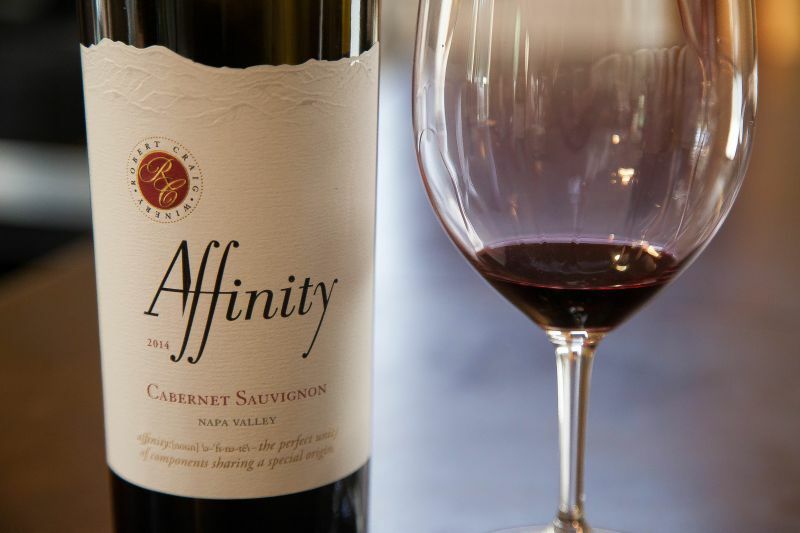 The next wine we sampled was the 2013 Affinity Cabernet Sauvignon ($70). This wine goes to show that Napa Cabs don’t have to be OMG I have to take out a mortgage to afford a bottle. Although this was a bold, Napa-style wine, I don’t associate it with the in your face almost masculine and chewy wines that some winemakers take pride in. There were firm tannins in the glass, yes, but there was a level of sophistication to what I was drinking that made me think wow! I would pair this wine with a Sunday rib roast with all of the trimmings. Why not something fancier? Well, of course it would be great there too, but that is the thing with this kind of wine, it is meant to be enjoyed and doesn’t need all of the fanfare. I can’t think of a better compliment than to say that this pairs with family and a great home cooked meal. 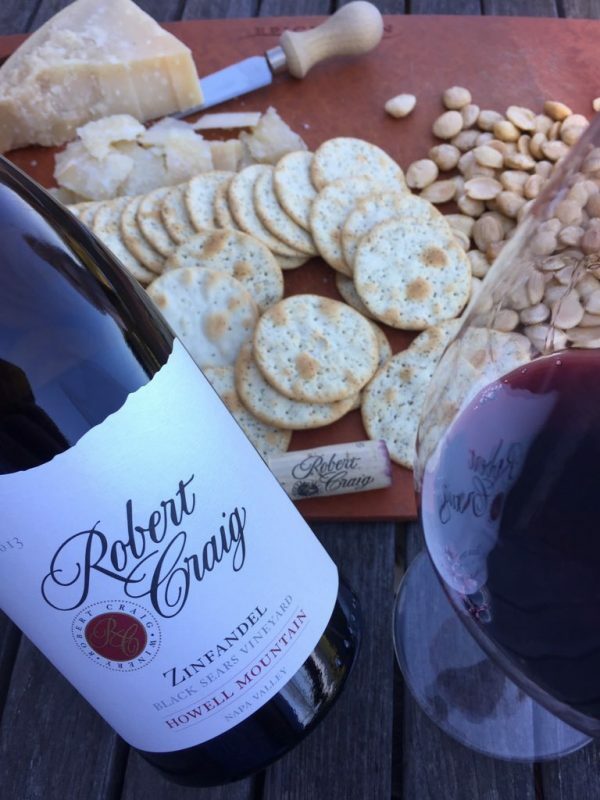 We moved on to the 2014 Howell Mountain Merlot which unfortunately is sold out now. It was delicious and makes me look forward to future releases of this elegant wine. I think one of my favorites of the day was the Black Sears Vineyard 2013 Zinfandel ($55.00) which hails from one of my favorite AVA’s Howell Mountain. This was not a super jammy, over the top fruit bomb Zin. It was far more of an Italian Primitivo in style, which I loved. There were deep, dark, forest fruits on the nose and on the tongue; along with cassis and just a hint of pepper spice. This is a wine I would highly recommend to more cultured wine drinkers looking for a foodies’ wine. Its acidity will make it wonderful with pretty much anything you pair it with. I would particularly like it with something lush like veal scaloppini or short ribs. 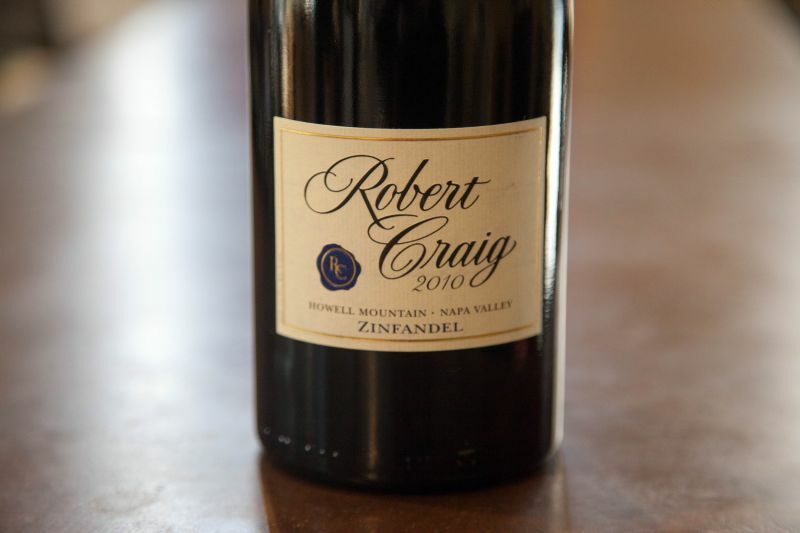 We also sampled this same Zinfandel from their 2010 library to see how well it ages. It was amazing! This aged wine had smoothed out, mellowed, and gained richness. All of the components came together for a fantastic glass that I would be thrilled to serve to my fussiest guests. Unfortunately, it isn’t for sale any longer. The good news is that you can purchase the 2013 and age it yourself. The tasting fee for visitors is $25.00 and I found the pours to be both casual and generous. The staff members that I had the opportunity to meet were all very friendly and helpful. It was an amazing tasting and I would highly recommend you seek out Robert Craig tasting salon (Bar Craig). 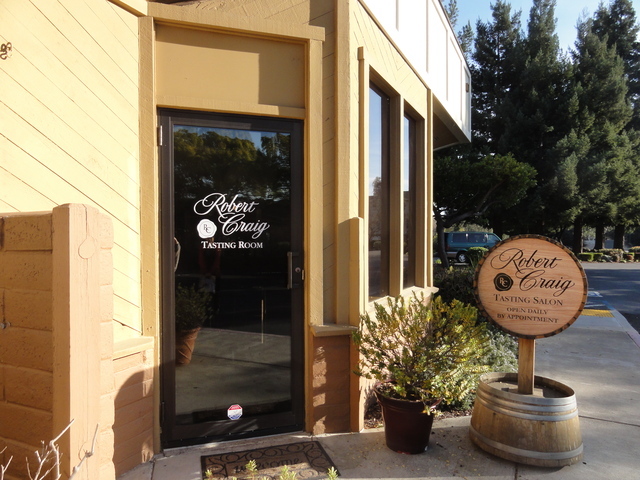 No, it’s not the flashy, Napa tasting room you may have come to expect, but as I have said on this blog many times – I usually find the best wines and better values in these smaller, more intimate places. Black Sears- a great vineyard!! so many great wines come from there! The wine was delicious! Thanks for your comment and support Lori!